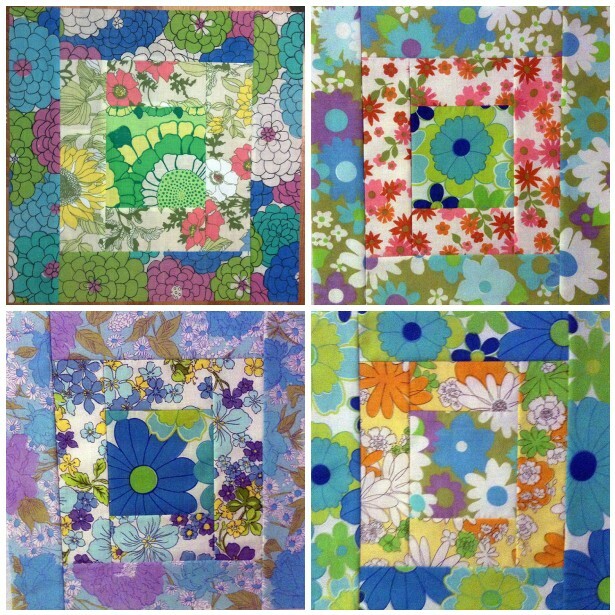 Vintage sheets are all the rage in patchwork these days, such as these lovely log cabins by Heidi Elliot. Now imagine a patchwork of vintage sheets in three dimensions. Happy Tomodachi's vintage sheets on flickr, kicked up nostalgia for my old home and neighborhood in Durham, NC and reminded me of the canopy bed that I made years ago with my collection of vintage sheets. It's easy to create your own, and lovely to sleep in! Screw eye hooks securely into the ceiling above the four corners of your bed. Run rope between through all four eye hooks. Pull rope taut and tie off. 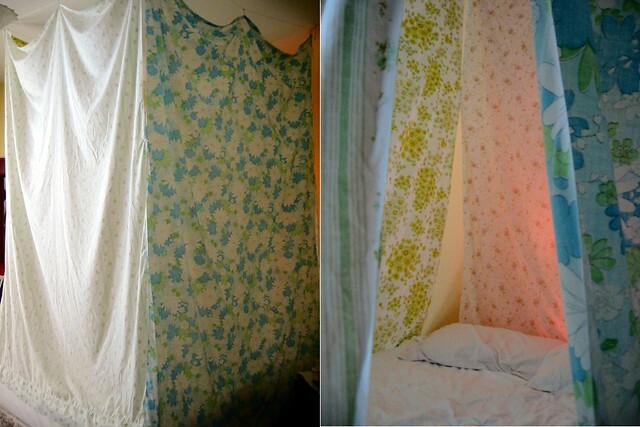 Use large safety pins at the top of the sheets as curtain rings. Hang safety pins on rope.